A bamboo toothbrush with bamboo fibre, soft bristles! Available with buy more pay less options. 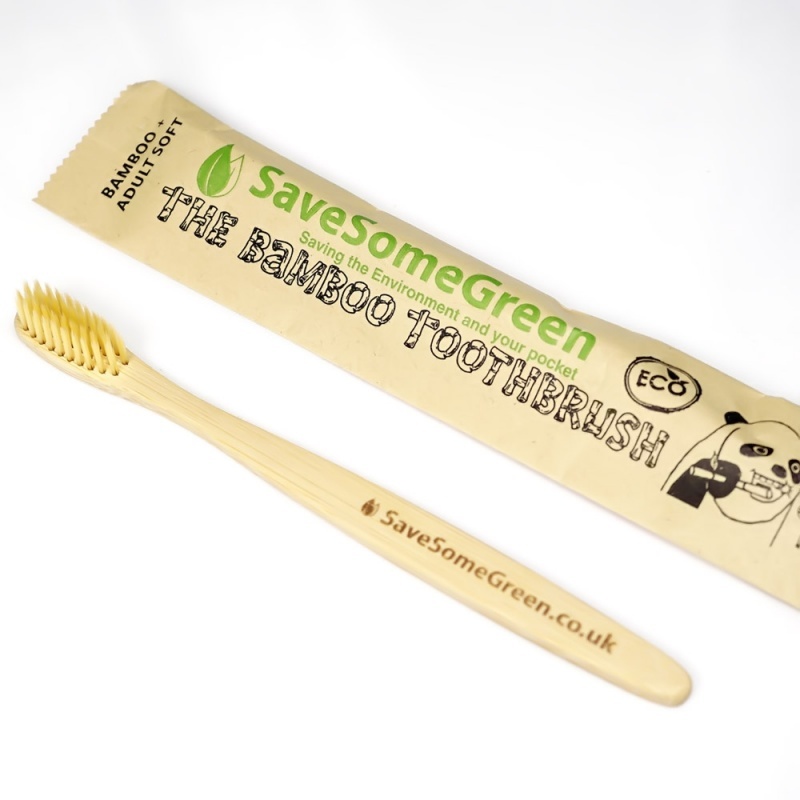 A bamboo toothbrush with bamboo fibre bristles! The handle is compostable at the end of its life. BPA free and vegan friendly. From Save Some Green, a UK company. Soft bristles. Here in the UK we throw away millions of plastic toothbrushes every year which will take hundreds of years to break down. This certainly won't be in our lifetime nor our children's or even the grandchildren of our grandchildren. Now is time now to switch to bamboo. 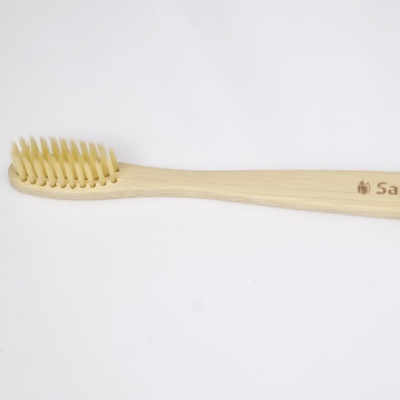 The handle on this toothbrush is made from panda friendly bamboo. 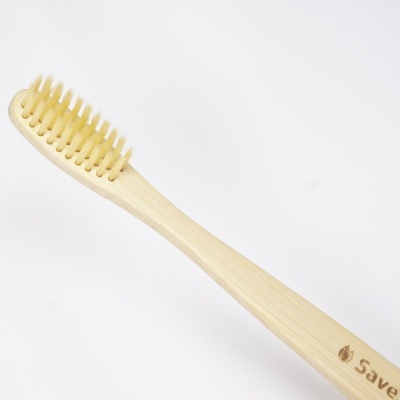 The bristles are made from Nylon 4 which has been infused with bamboo fibre. Bamboo is an environmentally sustainable timber. Bamboo needs no pesticides or fertiliser to grow. It's a super fast growing grass that is more efficient at taking CO2 from the air and producing more O2 than trees. These toothbrushes will rot down to nothing, causing little impact to the environment, with the added bonus of being BPA free. This toothbrush is adult sized with soft bristles. Because this toothbrush does not come in a variety of colours, you need to customise your toothbrush to differentiate yours from others in the household. We recommend writing your name in pencil on the handle, or being creative and decorating your toothbrush to suit your personality.